Lately The Princess has been HATING the tub. As soon as I put her in, she wants to get out. So I have some fun "theme" baths planned. Here was her first "fun" bath. 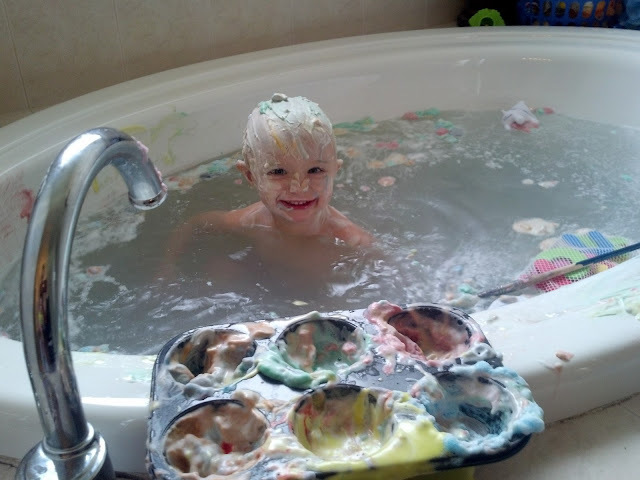 Her daddy doesn't believe she is actually getting clean......details-details. 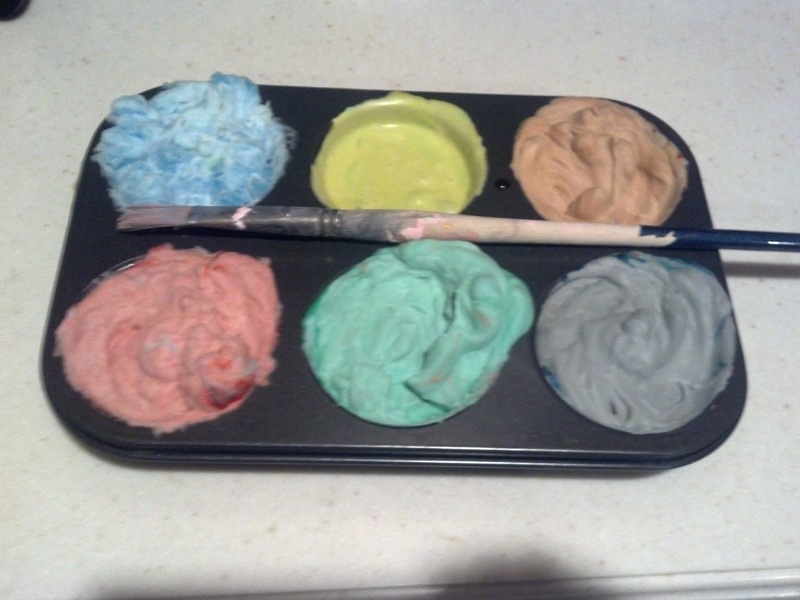 For this activity I sprayed shaving cream into all 6 cups of a muffin tin and then added food coloring to each to make different colors.